N, R, Q & W trains to the 57th Street Station. Restaurateurs Vittorio Assaf and Fabio Granato brought their love for French culture and cuisine to New York City by giving the Big Apple an authentic slice of France when they opened Brasserie Cognac de Monsieur Ballon in April 2008. Located in the theater district and frequented by celebrities, businessmen, locals and tourists, the setting is both exciting and charming. The Brasserie style menu offers French classics . Guests can choose to dine in the outdoor sidewalk café, casual original French bakery, classic main dining room, lively bar/lounge or the private Cognac Room as they enjoy meals complimented by 102 varieties of cognac and a gorgeous wine list including first-growth Bordeaux sold by the glass. Available during lunch & dinner. Ask about our special "Plat du Jour"
Allergy alert: Please inform us immediately about any allergies. Very nice ambience, great service food good. Escargot a bit bland ...$25 hamburger average. Enjoyed a delicious dinner with great, professional service prior to going to a show at Studio 54. Highly recommended. Very pleasant. Food was good (salad was slightly vinegary) and service friendly and attentive. When you're looking for a good meal any time of the day or night, this is the place to hit, savory, sweet, drinks or just coffee - you won't be disappointed. I would give Brasserie Cognac a definite 4 for the food (excellent steak frites, octopus salad); kudos to the chef! The maître d' was also a plus/very welcoming and accommodating. However, service was incredibly slow for no apparent reason; the place was less than half full. Our blonde waitress was pleasant but mainly absent. It took at least 20+ minutes to order drinks we finally had to flag her down. Items requested (e,g., extra sauce) either didn't show up or came so late they were no longer needed/ ate the food plain. We left after 1 hr the food is worth the wait. Otherwise, allow at least double the time normally spent over dinner. Having said that, the table next to us was served much faster. Maybe you just need to avoid the blonde. fish was overcooked, wait service was spotty and they charged extra for anchovies on a caesar salad! My wife and I, from Long Island, generally eat here after a show at Lincoln Center or Carnegie Hall. It has a wide variety of food that allows us to have a salad and soufflé or a full steak dinner. Their salads are always very fresh and easily large enough for 2 to share.French standards are very good; pate, mussels, etc. Tables are a bit small but we've never been surrounded by other parties. We will continue to patronize Brasserie Cognac. This is perfect for pre-theater. A very welcoming maître d', nice warm and attractive atmosphere, not noisy, appealing menu, good value. It was just ok. Food was good, but not exceptional. We had reservation, but there was long line and no table available when we arrived. Service was slow and bit chaotic. We ordered from pre-theater menu and were charged a la cart. Even though we noted it was my birthday, nobody seem to notice. Overall, we won't go back. East side location is much better. Convenient spot for meeting up with friends arriving from various locations. We arrived a bit early and with fewer people than the original reservation , but the staff welcomed and seated us with a smile. The food was delicious, with plenty of options for the prix fixe brunch menu. Our server was attentive, and we were able to chat and enjoy each other's company without feeling rushed! I'd return in a heartbeat, just to try the other menu items! We have been coming to Cognac for nearly 10 years and it has never disappointed. Cannot say enough good things - once you've tried it, you will keep going back. The steak frite plate was delicious. Liked the salad with it. Good value. A lovely waitress. Filet mignon tartare is better at most other decent brasseries. The food was very good. Service was excellent. Ambience was relaxing although I imagine when place is full it might be noisy. A nice experience. 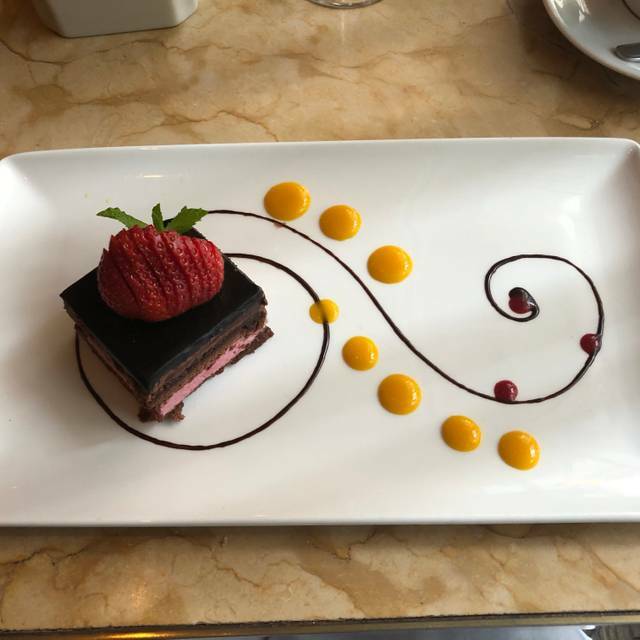 All around lovely restaurant — attractive ambience, terrific service, kind and understanding host at the welcome lecturn ,and best of all, delicious food. We had a small family reunion and could not have found a better restaurant in which to enjoy being together. 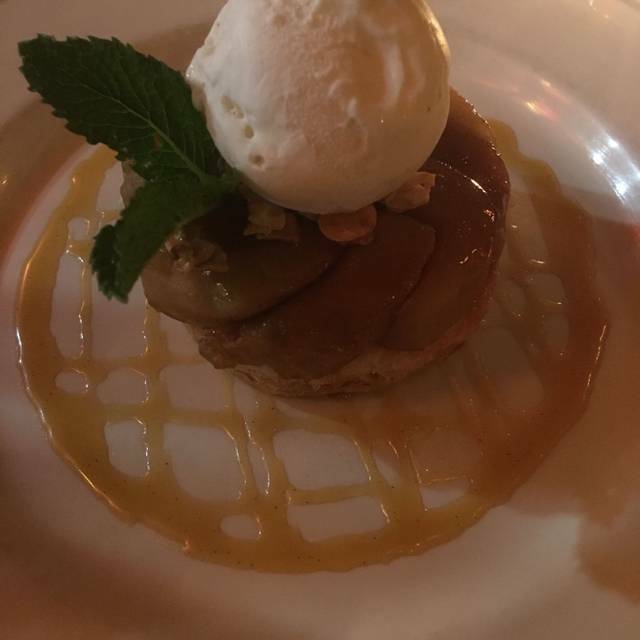 Brasserie Cognac was a wonderful find near Carnegie Hall. The food was delicious and beautifully presented. It was not absurdly expensive. The Price Fix was a boon to those of us on a budget. We sat in the front so I cannot speak to the level of noise within. We could carry on a conversation without straining. The only negative was the kitchen was quite slow and we had to run for our 8 pm performance even though we were seated at 6. Perhaps that is our New York sensibilities. Next time we will simply give ourselves another half hour, French style. Very disappointing. Food was fine but service was non-existent. We sat in the middle of the room, but no one seemed to see us. We had to ask for water - more than once. We saw the waiter exactly once. At the end of the meal, we had to ask for dessert menus - we had a Birthday among us. Although the food was fine, the service was so bad, I would not return. Despite making a 10:45am reservation without issue, we were informed upon arriving that the kitchen closes from 11:00 to 11:30am and if we wanted to order we had to do so immediately or else wait and order from a different menu, or eat elsewhere. Such a shame since I am local who has come here often over the decades and had recommended meeting here to my two out of town friends. We had several mimosas and coffee and decided to eat elsewhere. 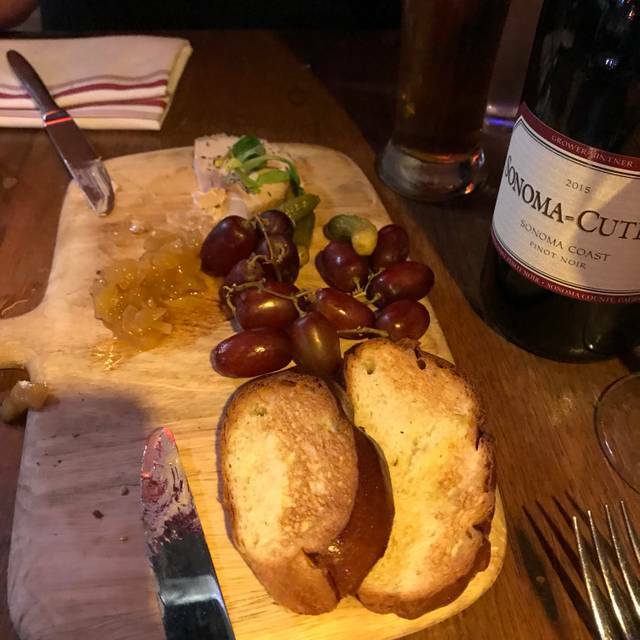 We do not feel it is the server’s fault (we made sure to compensate with 25% gratuity even though just drinks), however, the restaurant either needs to publish the closure on their website and/or OpenTable if this indeed is their establishment’s policy. They moved the theater crowd in and out in a friendly, organized manner that did not seem too rushed. The host told me that this restaurant was opened 11 years ago. Why hasn't anyone told me about this gem? A friend told me that she was having dinner there with 3 of her friends so I looked it up online and it sounded good enough for me to try it. 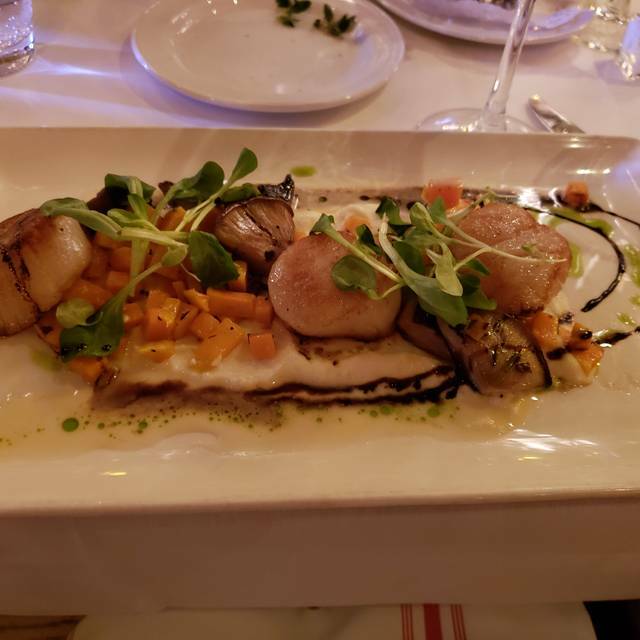 It is a very comfortable French restaurant that is not in the least pretentious (if that has made you stay away from French restaurants in the past). Because I was alone and I was going to a show where I had to pick up my ticket at least 30 minutes before curtain time, I decided on no wine or cocktails nor anything elaborate. 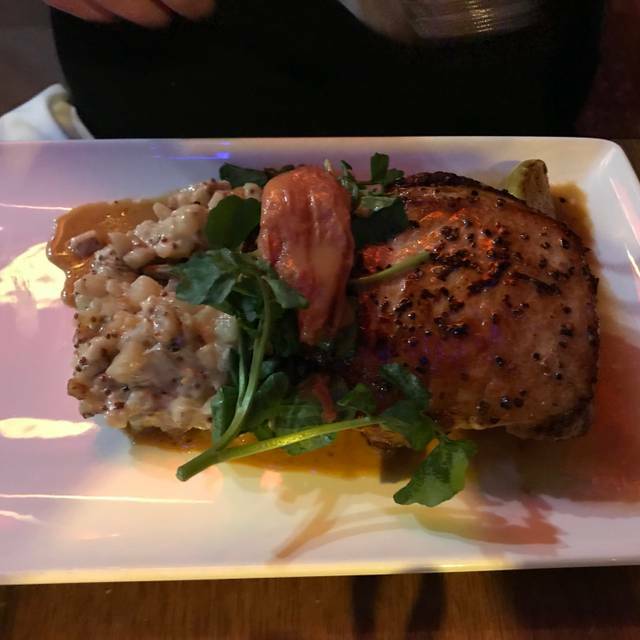 The menu was indeed enticing and varied but I chose the pre-theater prix fix menu for $30 which included an appetizer, an entrée and either cappuccino, espresso or coffee. 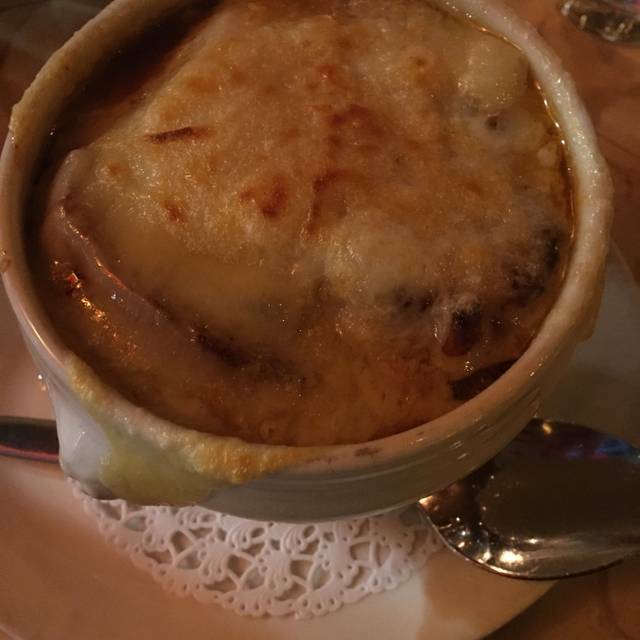 My appetizer was a delicious large bowl of onion soup...very authentically French. My entrée a well seasoned medium rare burger with fries (but a large salad in place of the fries). And I loved the Cappuccino. The waiter was accommodating, friendly and nice. I would highly recommend this restaurant and plan to take my wife at my next visit. AMAZING food and AMAZING service! Put this restaurant on your bucket list if you are visiting NYC! 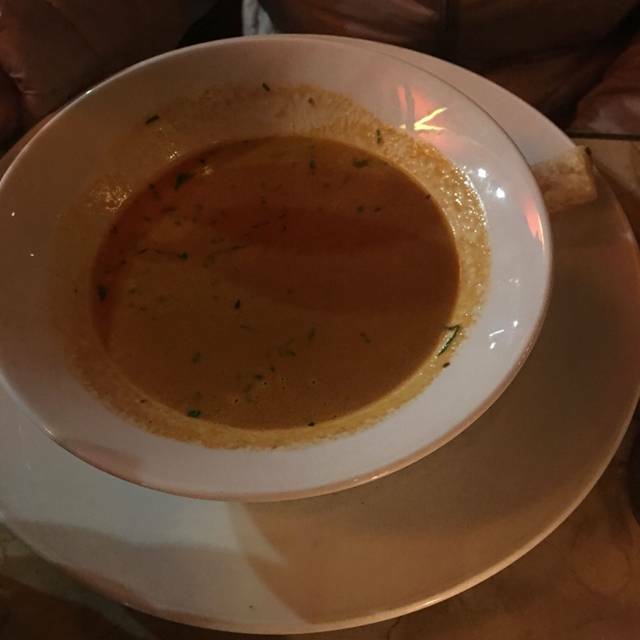 Overall it seems like a nice place and the food was fine but I had called in advance to confirm that something could be ordered for a friend I was taking to lunch with dietary restrictions. They promised me it would be available, and when we ordered they said it couldn't be done. And then they denied getting my phone call -- basically denying responsibility for their mistake. Then when we ordered as best we could and asked for a steamed vegetable, they brought sauteed in a very wet sauce. (We had said steamed no sauce.) They kept saying they could help us around any food issues but then they totally ignored what we ordered. I was embarrassed at having brought someone there and not getting what we needed and having management challenge the truth of what I was saying. So it was a thoroughly unpleasant situation. Brasserie Cognac has become my Encores buddy and my favorite pre-theater restaurant near City Center. Top notch service in every aspect. Wooden chairs were uncomfortable. Slow service, half empty, okay food. Barely paid attention to our small group. We got together with another family for brunch. Everyone enjoyed their food, and we had many different types of food. The menu is varied. The service was a bit slow as the server was very busy, and many of the staff were not able to communicate with the table to answer questions. Nonetheless, we had an excellent meal, and felt no rush. Manager took care of us, lovely gentleman. Service good, food very good, value decent. Nice place to go for brunch. Nice neighbourhood feel to the ambience, the menu and service. Wines are not bad since everything is reasonably priced. Made a reservation for a group of friends. More RSVP'd than I had expected and Brasserie Cognac was able to increase the number of my party not once, but twice. Food was beautifully presented and delicious. Service was impeccable -- especially impressive because we were such a large group. It's a great pre-theater dining destination, and classier than many of its local counterparts. The service is often rushed, though, and the dinner I hosted their for 8 was dampened only by our harried, annoyed server. Everything else was great though. A real French Barsserie. The steak tartare was one of the best I've even eaten - flavourings were perfect - not too strong but subtly there. Loved the egg to add in. Filet was excellent. 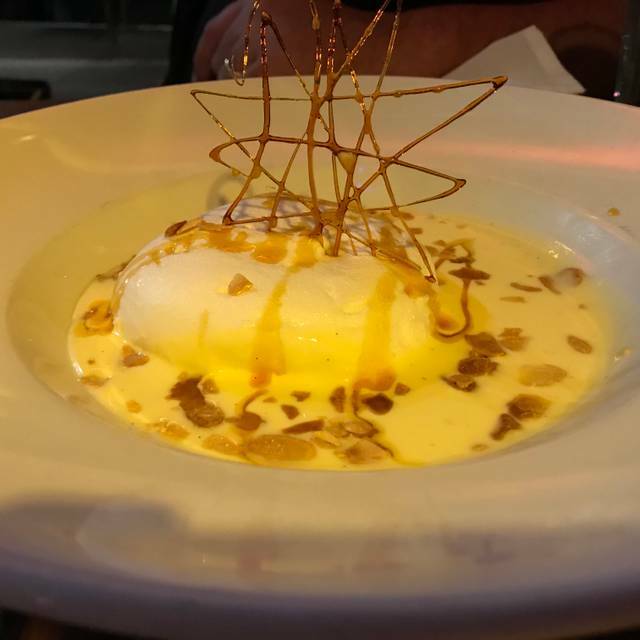 Floating Island was just OK. Not very French. Service good but Alex [?] a bit busy. I had to get his attention to bring me the bill. But he really knew his stuff. We stayed at the WestHouse and your location is great. Lovely restaurant and reasonably priced. Only disappointment: I have 2 different ways of getting a 20% discount at this restaurant. We both ordered prix fixe dinners. Gave one of my discount cards to my server, who abruptly said, prix fixe is already discounted. We can’t discount further. This is not stated anywhere, so I was both surprised and disappointed. 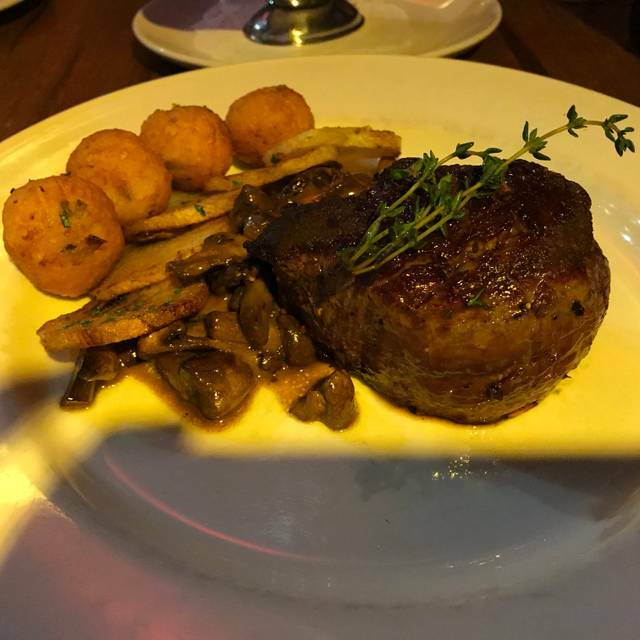 We enjoyed our dining experience at Brasserie Cognac. The food and service were excellent. However the sound level was a bit overwhelming.